Learn about the Persian spice Golpar, Persian Hogwood. 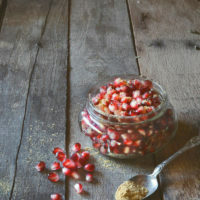 Includes recipes featuring this exotic spice, including a simple dish of pomegranate with golpar. There are some things in Farsi that easy to translate into English. Then you find these Persian proverbs and sayings and they completely lose their meaning in English. Then there are the Persian words that have absolutely no English equivalent. But, I suppose most languages have this problem with English. Wikipedia and other sources say this is not correct, that golpar is really ground seeds from Persian Hogweed (Heracleum persicum). What I do know is that Americans just don’t use this stuff. It can only be found online and in Middle-Eastern markets. 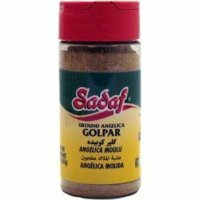 Golpar is extremely aromatic and slightly bitter. Persians also like to sprinkle this spice over fava beans, torshi (pickled vegetables) and other vegetarian dishes. 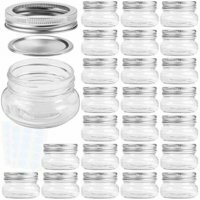 Store golpar in a glass jar, as it can totally overwhelm your pantry if kept in a ziploc bag. And did I mention it’s pomegranate season??????!!! Learn how to seed a pomegranate here. 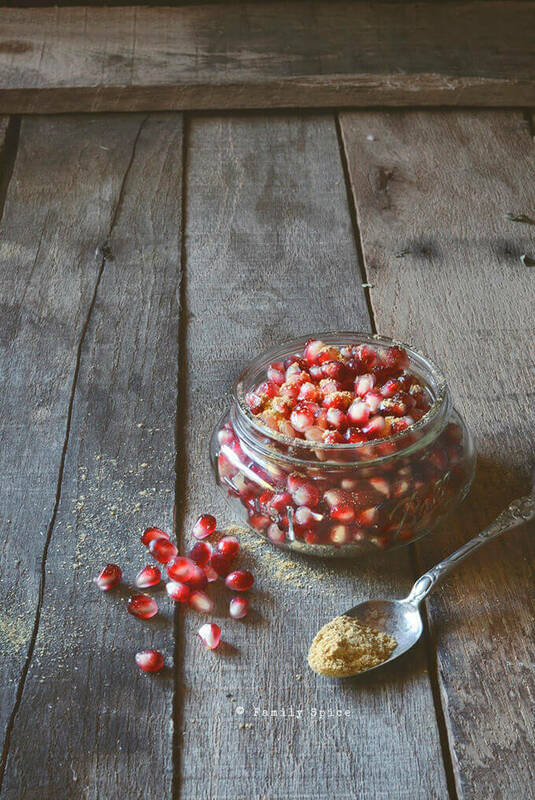 This simple snack of pomegranate with golpar, Persian Hogwood, is a Persian favorite mixing in sweet and sour together. Seed the pomegranate using these directions. Divide pomegranate arils into two bowls. Top pomegranate in each bowl with 1/2 tsp golpar and serve. That must have been the spice that my wonderful Iranian friend Mehri used that I couldn’t figure out. She didn’t know what it was “in American”, she said. I’m going to try to find it here. Ah, how I love things exotic… thank you for sharing this information. So interesting! I’ve read about golpar but didn’t have a clue what it was (pretty typical for me, some might say). Now I do! 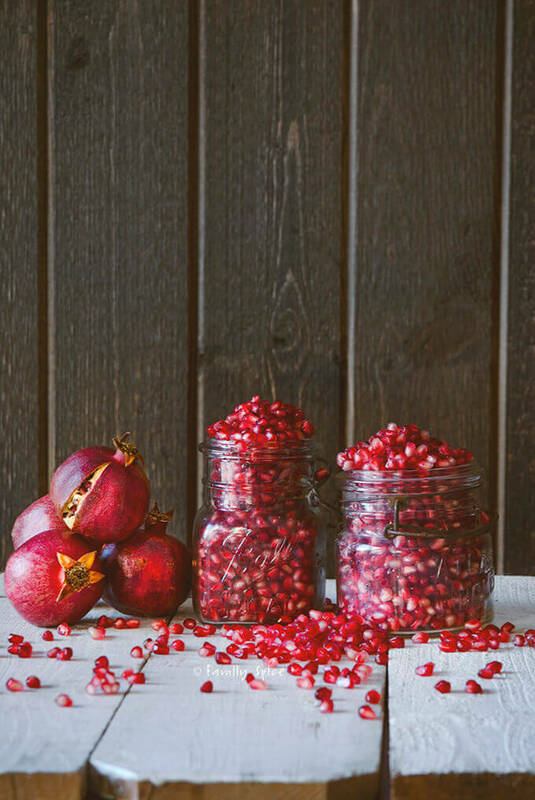 And it’s always pomegranate season in your house! Where can I buy hogweed? 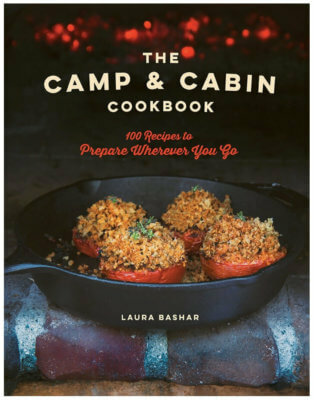 Thanks for the link to my blog, but cucumber pomegranate salad with golpar is not my recipe. It also is Najmieh Batmanglij’s recipe. I get my golpar in Toronto in the Iranian neighbourhood with all the Iranian bakeries and markets. I love Najmieh’s cookbooks. Thank you for the clarification.